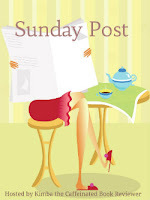 Sunday Post, a weekly meme hosted by Kimba the Caffeinated Book Reviewer, where bloggers share weekly book recaps and other news. Sunday Post/Stacking the Shelves/Weekly Book Recap was originally published by Catherine for bookclublibrarian.com. This post cannot be republished without express written consent. He Loves Me Not looks like a read I would enjoy! Great haul! Nice haul. Happy reading and have a great week. Thanks for stopping by, Sandy. I enjoyed reading your SP/STS post today! Have a great week! Thanks for stopping by, Jenea! Hope you have a fantastic week! Looks like you got quite the haul this week, too! I love getting new books (new to me, that is.) It's like Christmas or a birthday -- all the lovely anticipation of what might be inside each pretty package, all the fun of picking which one to open next. 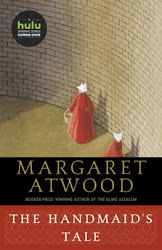 Enjoy your new books! Thanks for stopping by, Lark! My motto is, you can never have enough "toys"! I have a laptop, netbook, Nook, iPad, iPhone, and will probably add one more to the mix at some point this year. Right now I'm leaning towards a Kindle Fire or an iPad mini. Thanks for stopping by, Kimba. I enjoy reading your posts and tweets. Hope to finish Ashenden today or tomorrow, and will be posting thoughts soon afterward. Hi, thanks for subbing to my blog, I just followed you back via GFC. Love your blog! Thanks, Monika! Glad we're following each other!